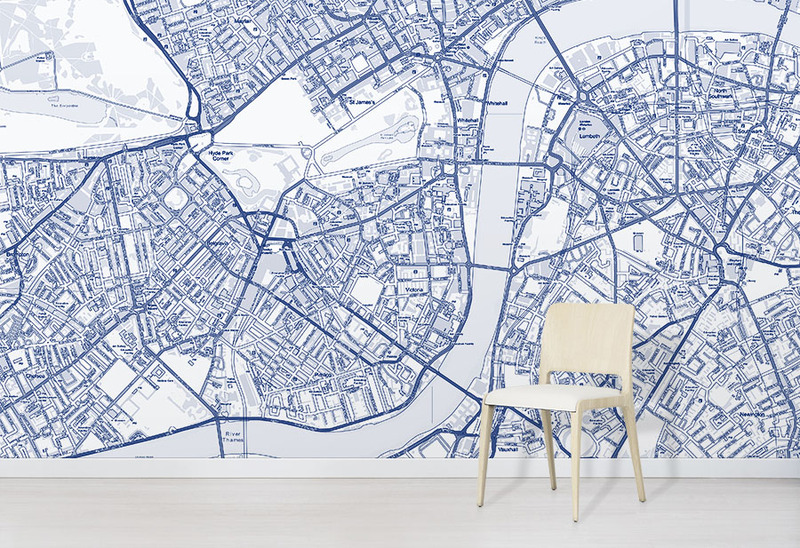 Our Custom Street Map Wallpaper Blue is made to your specifications. The Blue colour scheme adds a sophisticated feel. 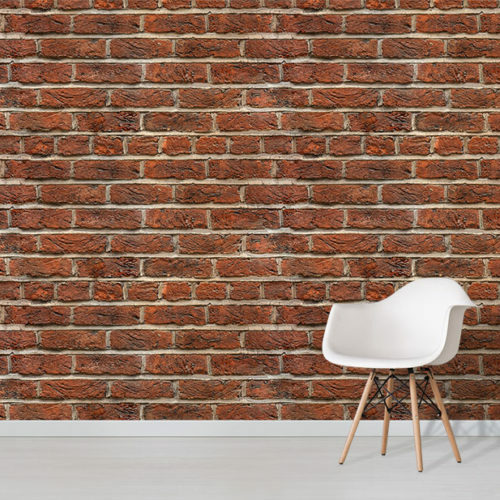 Choose the size of your wallpaper, and the area coverage. 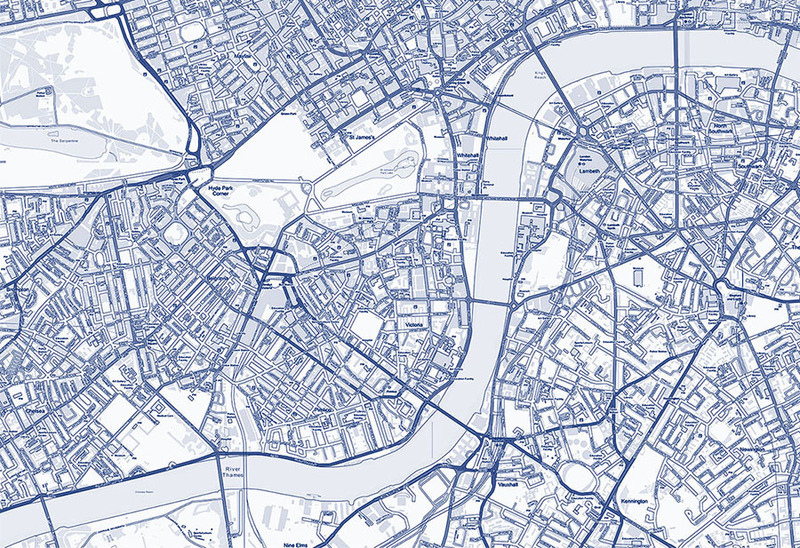 Additionally, the Custom Street Map Wallpaper shows clear street and road names. 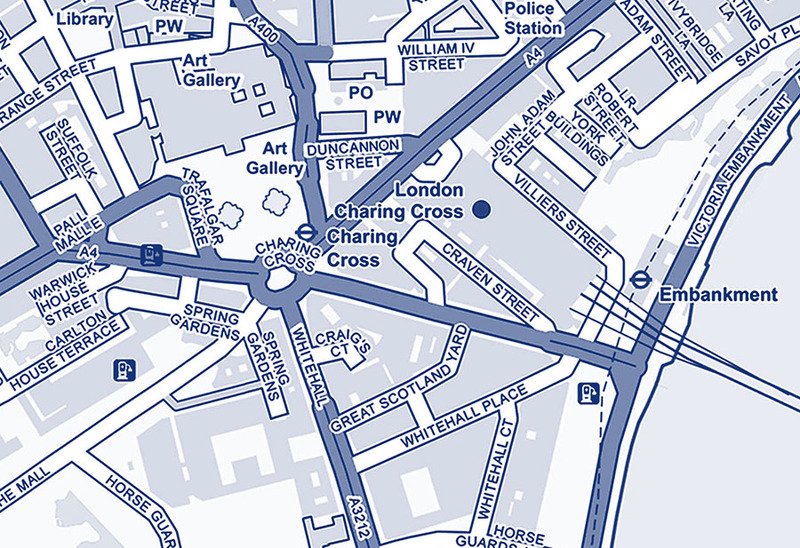 Therefore this helps to visualise the geographical area around you. 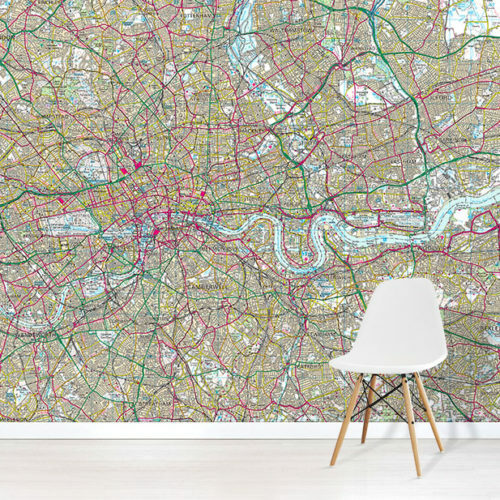 A bespoke map feature wall provides a unique element to your home decor.